I enjoyed her book so much, I asked her to write a "guest blog" here at Natural Sports Medicine Blog. She agreed. So, here are a few words of wisdom from Dr. Nancy Irven, author of Please Don't Eat The Wallpaper. years, then the answer is … yes! This means I said yes to saturated fat in the form of red meat, cheese, butter, and dairy. The present generation of teenagers has been raised in a “zero fat” environment and many of them believe that any fat is bad. I teach them this is not correct. I have seen that if they can eat nature’s fats in any form, they eat less man-made fat, which is the real health threat. According to Harvard, reported in Harvard Women’s Health Watch, “The Trouble With Trans Fat.” March, 2004, Vol 11, no.7, over 30,000 women die each year of heart attacks and strokes due to trans fat consumption in the United States. This study did not even include men. When I taught students they could eat eggs for breakfast in the name of “health,” many were excited, but still skeptical. Some of their parents were even more so. It’s amazing to me so many people, teenagers and adults, start their day with a breakfast cereal with a long list of ingredients including enriched grains, trans fats, high fructose corn syrup as well as many other chemicals and food dyes but they believe eggs are bad for them. I suggest a web site, http://www.westinaprice.org/ for more information on healthy eating. In addition, the book by Michael Pollan, “In Defense Of Food” is an excellent book to read. I only disagree with him on one point. He quotes the research that makes the case that saturated fat is not unhealthy. However, he still follows the collective consciousness against the health benefits of saturated fats in a few of his comments. Still a good read! Have a great day! Eat well and live long! 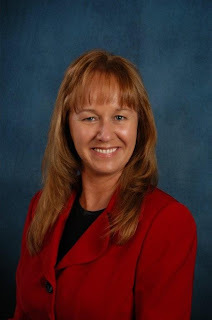 Thank you Dr. Irven for contributing to my blog. 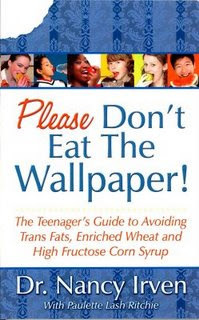 Her book, Please Don't Eat The Wallpaper is geared towards high school kids. I bought it anticipating that I would read it first, then give it to my kids to read. They both enjoyed it and had a lot of questions for me after. My children are much younger than the target audience, however, it sparked a similar result. A conversation was started about what is and what is not healthy for you. To clariry to my NaturalSportsMedicine blog readers, when Dr. Irven says she says yes to things like red meat, cheese, eggs or other foods you probably now stay away from due to "cholesterol" and "saturated fat"....she is talking about good healthy forms of those..
She's not talking about your steak from publix. She's talking about a cut of steak from a pasture grazing grass fed cow that hasn't been injected with hormones and antibiotics. A cow that was rasied on the natural diet of the species, which is the green grasses of pastures and not the soy-corn-vetenary waste mixture of "feed" our current commercial cows are being fed. She's talking about eggs from free range hens that peck at their natural food sources. Not hens rasied in boxes, under stressful condition and fed un-natural diets. Cheese from natural-grass fed cows. The saturated fats from these sources is something necessary for our bodies. Did you know that even Beef and chicken have omega-3 fats? Only the naturally raised ones I just mentioned, not the commercially rasied ones. Beef has CLA (conjugated linoleic acid) which has long been associated with reducing belly fat. It's in grass fed cows, not typical commercial fed cows. The bottom line is, it is perfectly okay to eat the foods the human "species" has been eating for tens of thousands of years. Beef, chicken, eggs and the like. But the health of those foods your eat depends intimately on the health of their diet and living conditions. Disease promotes disease. And if animal farmers have to constantly pump their animals full of hormones and antiobiotics just to keep them alive, how healthy is the food they produce? Do you eat Salmon? If yes, why do you eat it and what kind do you eat? Since you're probably eating if for it's incredible Omega-3 content, did you know that it's ONLY the wild caught salmon that has the wonderful Omega-3 content? Yep... Wild Salmon is HIGH in Anti-inflammatory Omega-3s and LOW in Pro-inflammatory Omega-6s. Did you also know that farm raised salmon has the exact opposite. High in Omega-6 and Low in Omega-3. The difference....one is very good for you, your heart and your HDL/LDL ratio and the other, the farm raised salmon is VERY BAD for you. Actually promoting the very diseases and conditions you are trying to prevent by eating it. Why is this? Because wild salmon get those healthy Omega-3s from their natural diet of fish, shrimp, krill etc. Farmed rasied salmon is rasied on pellets of corn & soy. They are feeding a predatory animal a vegetarian diet. Something it was never meant to eat and something it never evolved eating. Thus, making the fish sick and unhealthy, just like those who eat it. So, buyer beware, your health depends on the health of the food that your food ate. And, was it "their natural diet" or was it "a natural diet". Your life may depend on the difference. Is What You’re Eating Killing Your Performance?